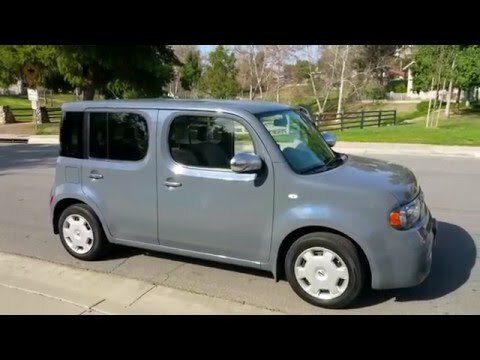 The 2014 Nissan Cube is different without being awkward. The Cube's unique styling and low price help make it a winner with younger buyers who like to avoid being labeled as boring or conformist. We only wish the Cube offered a bit more power, better fuel economy, and perhaps a more colorful interior. Lots of headroom! No more laying down to drive. I like to sit up straight when I drive and the Cube allows me to do that. The best feature of the Cube is the headroom. I can get in and out without hitting my head. I also like the gas mileage and the ease of parking. I do not like that my golf clubs do not fit. The vehicle has a definite lack of power which makes it difficult to drive around Denver. My car has great mobility compared to other vehicles. This makes it great for small areas, parking, and downtown living. My vehicle is great for city driving. It is a smooth ride; it does not take much to go fast. However, it is not as aerodynamic because of its shape, which makes it hard to control the steering in very windy weather.